There aren't a lot of crossovers between games and films (and when there are, the latter usually stink), but the upcoming indie adventure ENCODYA is inspired by a short film set in the same futuristic dystopian universe. The year is 2062, and a nine-year-old orphan named Tina lives with her "big clumsy robot guardian" named SAM-53 in a "rooftop makeshift shelter in Neo-Berlin, a dark megalopolis controlled by corporations." Tina is an "urban jungle kid," who has survived on her own by "scavenging dumpsters, [...] eking out a living of scraps." Protected by her ever-present "funny robot," one day "the little girl discovers that her father left her a very important mission: to finish his plan and save the world from its grayness!" And so the unlikely pair of heroes "start an incredible adventure, jumping into different realities, full of bizarre robotic creatures and grotesque human beings." 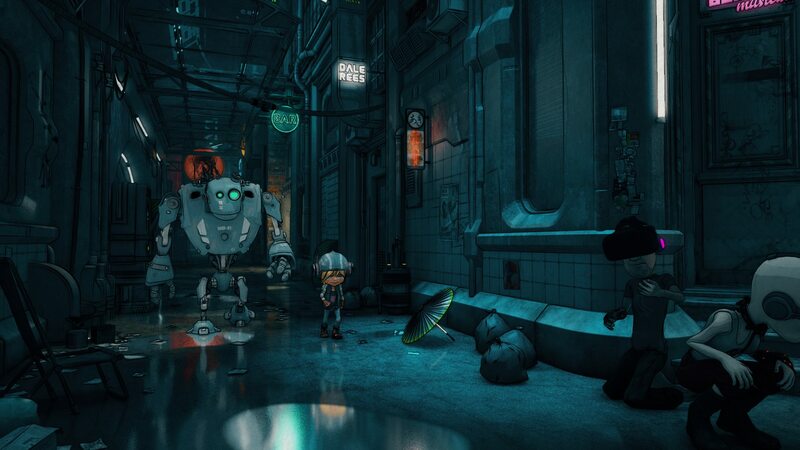 Created by Nicola Piovesan and Chaosmonger Studio, ENCODYA shares the same main characters and world as their previous collaboration, a short film called Robot Will Protect You. 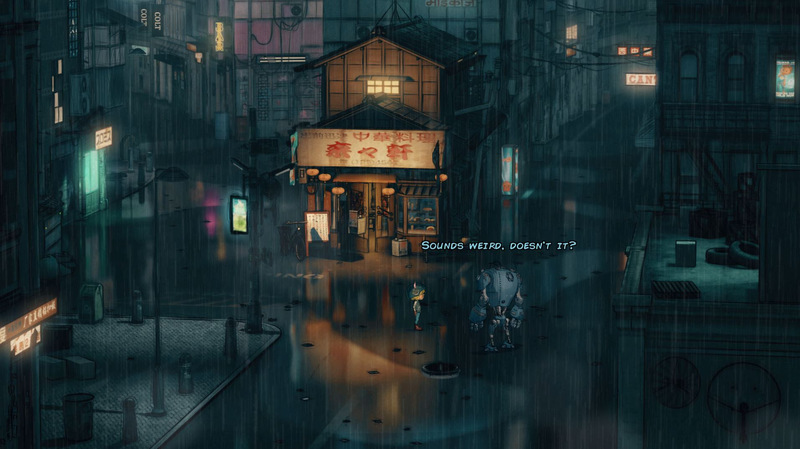 Described as having "the sweetness and creativity of Studio Ghibli in a Blade Runner [like] setting, with the humor and game style of Monkey Island," ENCODYA is a traditional third-person point-and-click comic adventure that makes good use of its origins in animated film, with a cinematic focus on "story line, visual aesthetic, acting, music and sound immersion." This is very much a game, however, so players can expect to encounter a "lot of puzzles and exciting dialogues" throughout, and along the way the protagonists just might find out the "true meaning of being alive." While the final release of ENCODYA isn't due until late 2020, a sampling of it is coming much sooner than that, with a playable demo to be launched by the end of May or beginning of June this year. The adventure is inspired by a short film made by the same company and director, the award winning Robot Will Protect You.